What are the Signs of Ativan Abuse? Fifteen million people in the U.S. abuse prescription drugs. Taking more than is prescribed, or mixing prescription medications with other drugs or alcohol is considered prescription drug abuse. Ativan is the trade name for lorazepam, a generic prescription drug, and part of the drug class called benzodiazepines. Benzodiazepines like Ativan are highly effective at treating a range of disorders, most notably anxiety and panic attacks. Prescription drugs like Ativan are tranquilizers or sedatives, which bind to GABA receptors in the brain. The medication has a calming effect on patients that does not cause serious cardiovascular or respiratory system impairment. But unfortunately, benzodiazepines and Ativan can be addictive and are often misused. Prescription drug abuse can cause a range of dangerous side effects that put people’s health and safety at risk. What are the signs of Ativan abuse and where can loved ones turn to for help with prescription drug addiction? The following article will explore Ativan abuse and treatment methods. What are the physical signs of Ativan abuse? Chronic Ativan abuse will lower a person’s appetite, leading to weight loss and possible nutritional deficiencies. Are the side effects of chronic Ativan abuse reversible? Most memory issues will resolve once someone quits abusing Ativan. But some people will experience permanent cognitive impairment even after they stopped using the drug. 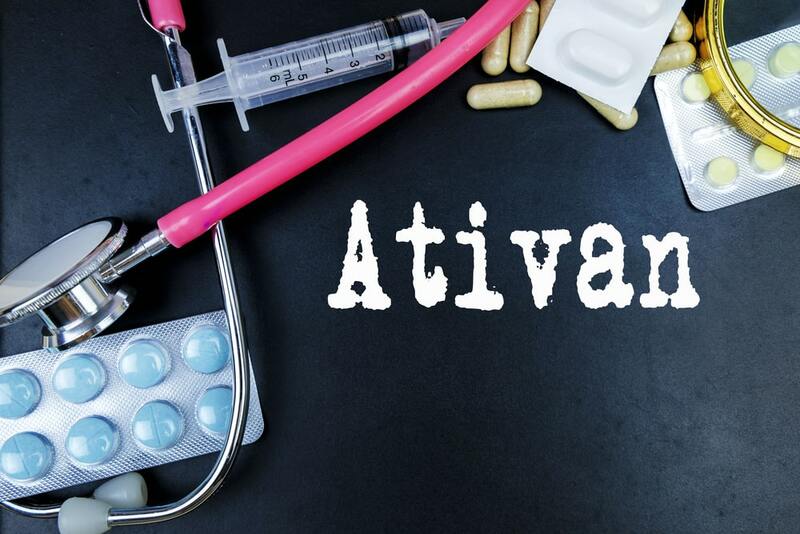 This risk of long-term damage from Ativan is higher in elderly populations. Also, Ativan abuse can trigger and expedite cognitive decline in elderly patients with dementia or Alzheimer’s. What are the symptoms of Ativan addiction and abuse? Is Ativan often abused with other drugs? Research indicates that prescription benzodiazepines like Ativan are frequently abused with prescription opioids and painkillers. Studies suggest that Ativan is often misused for recreational purposes and that prescription benzodiazepines increase the effects of opioids. Polydrug abuse makes treatment more complicated and also increases the risk of overdose. What are the risk factors for prescription drug abuse? There are protective factors against prescription drug misuse as well, including being younger than age 25, and also being employed full time. What is the withdrawal timeline and the withdrawal symptoms for Ativan abuse? What is the treatment protocol for Ativan addiction? It’s not safe to quit taking drugs like benzodiazepines cold-turkey. For people with a prescription Ativan addiction, it’s critical that they undergo a safe, medical detox to avoid the painful, debilitating symptoms of withdrawal. Anxiety and depression are common during the detox and withdrawal phase. Depression can cause other problems with a person’s day-to-day functioning and can increase the risk of self-harm or suicide. Medical detox can mitigate these risks. After a person has detoxed from Ativan, they can benefit from a combination of therapy, inpatient or outpatient rehab, and ongoing support and care from counselors and loved ones. In many cases, drug abuse and addiction are maladaptive coping mechanisms for stress and trauma. In therapy, patients are given the tools to cope with stress without misusing prescription drugs. If you or a loved one are struggling with prescription Ativan addiction, please reach out to a qualified drug abuse counselor to explore your addiction treatment options.